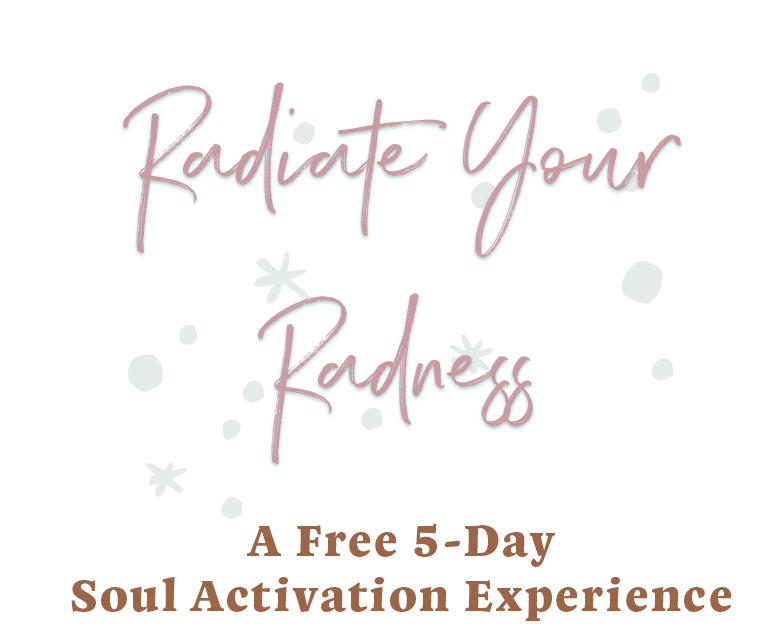 THRIVE is an 8 week Soul Activation Experience dedicated to Soul Leaders who are ready to amplify their Hue-mman Experience + Align to their Soul's Destiny. THRIVE is for those who are embarking on a journey to step out of the Spiritual Closet + into the world, ready to showcase their gifts, talents, and passions to bless up humanity + the world as we know it. What makes THRIVE unique is through this experience, we dive in deep so that we can anchor in our visions of a better tomorrow. It's all about you elevating your vibration + creating the solid ground so that you go forth + build the business + life you desire most. Because what we manifest in our external world has to do with our internal world, it's up to us to reclaim our sovereignty, collapse the old timelines, + transmute what no longer serves. This is about you stepping into your power, connecting with the Spiritual Guidance + Metaphysical Support that's ever present and offering the world something it's never experienced before through your presence + your medicine through your presence. This Group Coaching Experience offers weekly Group Coaching Calls, Kundalini Yoga classes + meditations, Weekly Deep Reflections, Card Spreads, plus so much more to support you as you go forth + Radiate Your Radness. It's evident that we are living through transitional times. After all chaos comes order. This is the opportunity for us to rise up and stand up for the highest good of ALL. As we embark on this journey together, it's my intention to share with you what I've learned about this beautiful opportunity we are faced to embrace + make the most of. As lightleaders, we have a civil responsibility to be the light we wish to see in the world, but in order for us to do that, we must first recognize and honor our light within. This means learning to love all facets of OUR human experience. Yes, I'm talking about all the ugly cries from our past, our trials and tribulations and any suffering or struggles we may have faced up until now. All of it was prepping us to become CHAMPIONS during this time in human history. Stay Woke is a 6-part video series to help you THRIVE during this Golden Era. Gathering all the tools and wisdom that has helped me awaken from my deepest and darkest slumber, it's my intention with this series to empower you to share your medicine and to be the lighthouse with every breath and every beat of your soul. Humanity is ready for an upgrade. A New Paradigm is ready to be anchored in, and it begins with you! This is our time to come together and uplift the collective with our love, our radiance, our truth. The world is READY for your medicine. During this 5-Day Free Experience, you'll discover Ancient + Modern Mysticism to uplevel your hue-man experience by transcending those limiting beliefs once and for all. We are living in a new paradigm and to Radiate and THRIVE in this Golden Era, it's about you leading with heart as your art, making your mess your message, understanding the Superpower behind your radiance, the rise of Intuitive Leadership, + what it means to unlock the THRIVE Method. This jam packed 5 hour free experience is a taste of Sabrina's medicine and what she has to offer as you go forth and embark on this journey to reclaim your power and manifest your Deepest Desires. Having done everything from Group Meditations to Intimate Soul Spread Card Readings to Teaching Kundalini Yoga to 500+ people, Sabrina's work helps empower people to reclaim their authentic radness and align to their highest potential through the implementation of tools of the Modern Mystic. There's no denying that Sabrina's magnetism is contagious and infectious and will be leaving your audience, groups, and participants inspired and empowered for days long after. Whether your event is 60-90 minutes, a half-day Experience, workshop, or a day long retreat, Sabrina will create a customized experience based on your needs and desires to enrich your event.